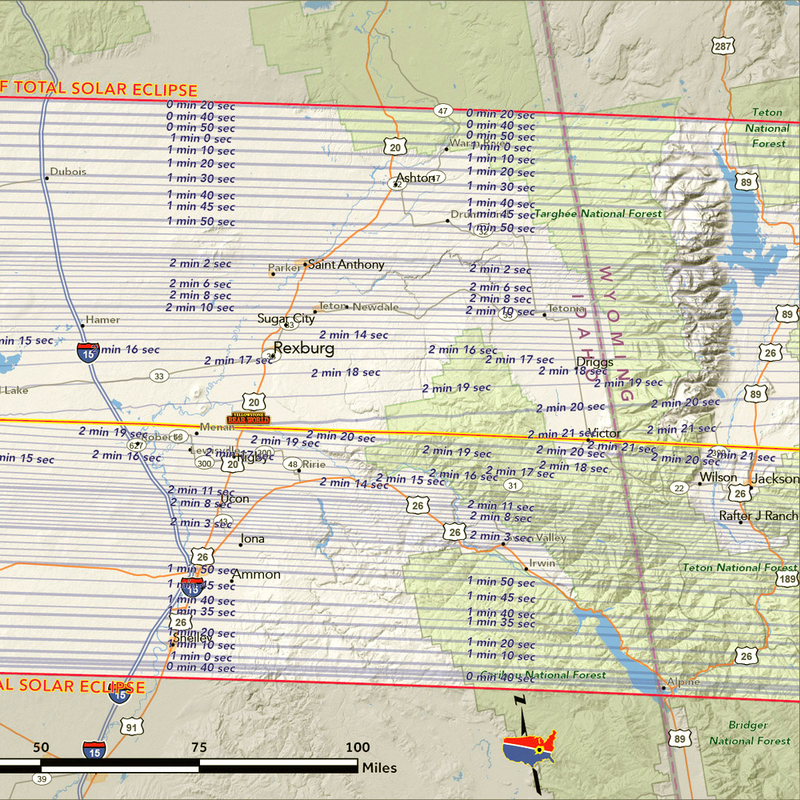 Total Solar Eclipse—August 21st 2017 there is going to be a total solar eclipse happening here in Idaho. 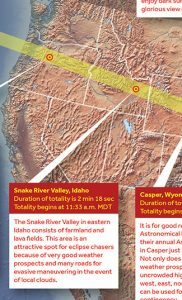 The last time there was a total solar eclipse in our area (The Snake River Valley) was in 1918. Making this truly a once in a lifetime experience. The best place to view this spectacular event? Yellowstone Bear World! We have consistently good weather, no obstructions, and the longest time of totality in Idaho. The solar eclipse starts at approximately 10:15 AM MDT. The sun will be completely covered at 11:33 AM. The solar eclipse will end at about 12:50 PM, when the sun emerges completely from behind the moon. 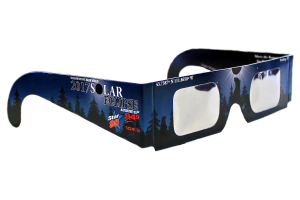 Each camping site comes with certified solar eclipse viewing glasses for each person while supplies last. At Yellowstone Bear World totality will last about 2 minutes and 18 seconds. One of the longest viewing windows in the country! Check-ins begin on August 18th. You can also purchase additional days to extend your stay and miss exiting traffic. Spaces are booking fast, so make sure to reserve your RV/tent camping and viewing spot today! 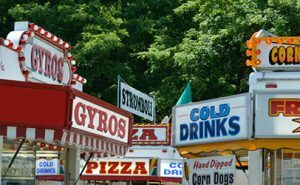 Are you a food vendor looking to provide food to crowds of people gathering at Yellowstone Bear World for the 2017 Solar Eclipse? Then send us an email: [email protected] or fax: 208.356.9732, with a completed application. What is the 2017 Solar Eclipse? This eclipse is a total solar eclipse. A total solar eclipse is when the sun, moon and earth line up so the sun is completely blocked from view. It is the only eclipse where you are in the moon’s shadow. A total solar eclipse is a unique experience. It will be so dark that you will be able to see the stars during the day. People have also reported seeing strange colors, animals changing their behavior, and temperatures dropping up to 15 degrees. Why Should I see the Solar Eclipse at Bear World? Yellowstone Bear World has opened up private fields outside of the park that are divided into dry RV and tent camping spots. We are located just 5 miles south of the city of Rexburg. We are the perfect place to see the 2017 solar eclipse. As seen on the graphic to the right, the narrow path at the center of the moon’s shadow is what gives the full effect of the total solar eclipse. Yellowstone Bear World is directly in this limited pathway. We are one of the few places in the nation where you can experience the complete totality of the eclipse for its entire duration. We have consistently good weather and wide open fields at our location. Which allows for perfect viewing with no obstructions. Our spaces are also located right next to our drive through wildlife park†. This enables families to enjoy a full, fun filled camping trip that highlights the eclipse itself. With event memorabilia (t-shirts and eclipse viewing glasses) and a convenience store on site, Yellowstone Bear World’s 2017 Solar Eclipse event is Idaho’s prime eclipse viewing avenue. We have 30′ x 60′ spaces and 20′ x 40′ spaces available where you can either pitch a tent or park your RV. We have 40 portable sanitation units available for restroom convenience. Monday August 21st only, day viewing spaces will be available (FCFS). A day viewing space for the eclipse will be $20 cash only for a normal sized non-commercial vehicle. $40 cash only for large non-commercial vehicles such as RVs or vehicles with trailers. Is the Solar Eclipse Going to be a Big Deal? Eastern Idaho is being touted as a prime viewing location across the nation; even being mentioned by NASA itself. Thousands of people travel from all over the world to view a total solar eclipse, and experts are estimating that there will be an extra 40-80,000 people in the city of Rexburg alone. Due to this high demand, it is imperative to make plans early. It is also encouraged for day-trippers to plan on an extended stay due to high volumes of travelers. Authorities are anticipating major traffic congestion on eclipse day as people drive out after witnessing the event. Lodging in Idaho Falls, Rexburg, Victor, Driggs and Stanley are already booked. *Three night minimum required for reservation. Subject to Idaho sales tax and fees. †Reservation of camping spaces does not give free access to or include admissions to Yellowstone Bear World or any of its attractions. *Rv and Tent Camping spaces do not include water or power hookups.